Balmain Double Breasted Wool Blend Blazer Dress $3,995 Free US shipping AND returns! Balmain Long Sleeve Faux Wrap Minidress $2,650 Free US shipping AND returns! Balmain Button Detailed Med De Poudre Wool Mini Dress $3,350 Free US shipping AND returns! Balmain Button Embellished Stretch Knit Midi Dress $2,695 Free US shipping AND returns! Balmain Button Embellished Metallic Wool Blend Mini Dress $3,995 Free US shipping AND returns! 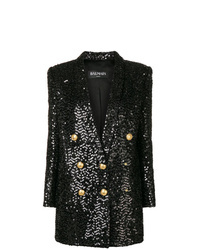 Balmain Sequin Blazer Dress $2,920 Free US Shipping! Balmain Tuxedo Mini Dress $5,360 $7,657 Free US Shipping!